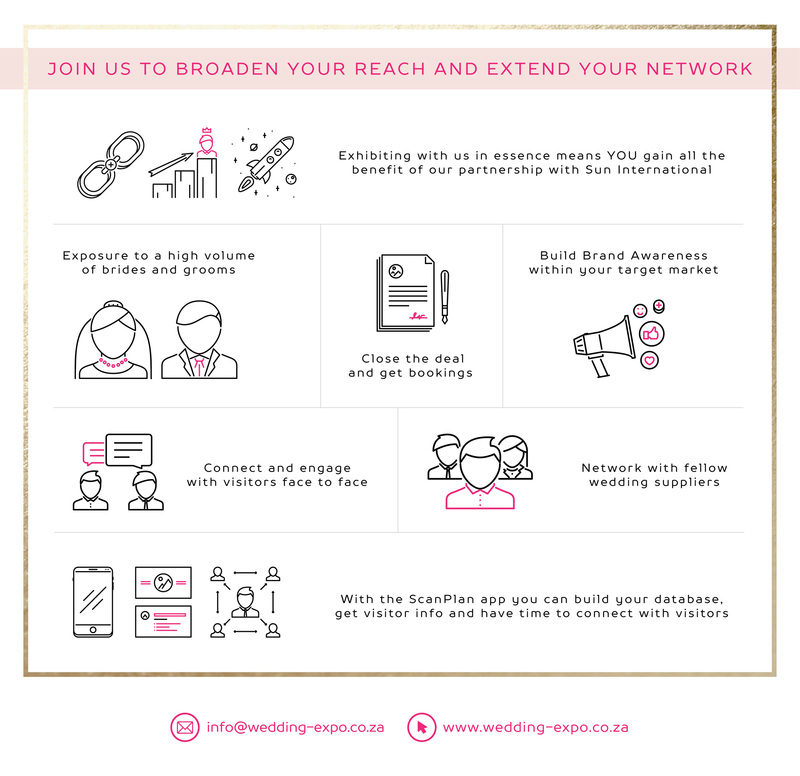 Read more about exhibiting with The Wedding Expo or click on the below to apply right away. The lead generating APP used for all our shows. 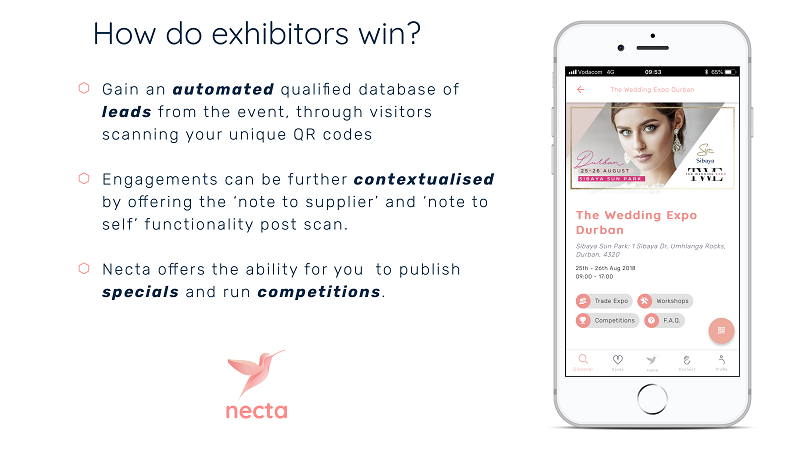 Necta is available for download in both google play and app stores. 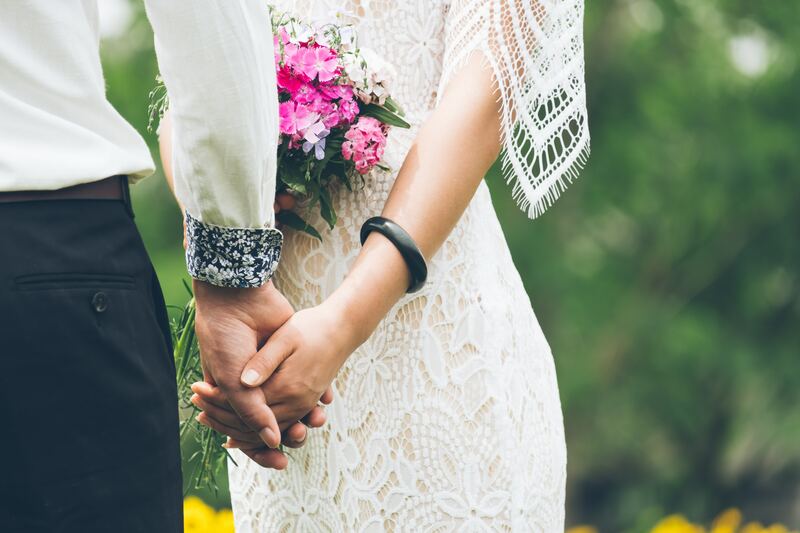 As a digital wedding planning platform we (Bloom Weddings) decided to take a stand at The Wedding Expo in the hope that we could gain exposure to thousands of people in a short period of time. Our main aim was to gain a spike in users/customers on our platform. We indeed achieved our goal and more! We were pleasantly surprised at what we achieved in August 2017 and as a result have committed to all 4 shows in 2018. We found the physical presence at TWE not only helped us gain exposure, but also engaging with that amount of people helped give us the assurance that our business is very relevant and got wonderful feedback from the aspiring couples. I just wanted to say thank you for all your hard work on creating a completely seamless expo! I'm so impressed at the amount of media coverage I've received, how perfectly the fashion show ran, and generally how well everything was organised. You guys did an amazing job this year, so pat yourselves on the back and please pass this on to all the other crew. Thanks again and I'm looking forward to next year! Thank you for everything you did right from the start . It was truly a successful opportunity and I learnt a lot in terms of exhibiting rather than trading. Thank you very much for all the advice and support . I hope to be on your team again next year. We truly enjoyed being part of the Wedding Expo and also like to thank you and Marylou for letting as be part thereof. I hope that we can work together again in the future. Thank you for your kindness and all the efforts you guys put into the expo, we loved it. Thank you so much for hosting me at the expo and organizing me the great stand. It was lots of fun to be there again and everyone was really helpful. Get in touch with us to discuss your budget and our available packages.